As an aside, I have to mention here that cancer seems to be a metabolic condition every bit as much as Alzheimer’s disease is, but they are opposite sides of the same coin: In both conditions, the mitochondria have lost the ability to effectively generate ATP. In Alzheimer’s, the protective mechanism involves cells shutting off the glucose spigot, whereas in cancer, the spigot is turned on full blast and never shuts off. Last time, we discussed cancer cells ramping up glycolysis in order to feed themselves. And we left off saying that, as a result of this abnormal amount of glycolysis, we have a ton of pyruvate building up. And the fate of this pyruvate, as I’ve mentioned in past posts, is fermentation—an anaerobic process. But cancer cells do something interesting that most healthy cells don’t: they perform incredible amounts of fermentation even in the presence of oxygen. Recall from a note at the very end of the post about glycolysis that normal, healthy cells can and do ferment pyruvate into lactate. However, this mostly occurs when the supply of oxygen to a cell is insufficient, such as in hardworking muscles during intense physical activity. And in these healthy cells, fermentation isn’t the primary energy generation method, nor does it continue after those muscles stop working so hard. In fact, fermentation stops almost as soon as the intense activity stops, and the lactate clears out rapidly. We’re clear on what’s happening here, right? What distinguishes a cancer cell from a healthy cell is that a cancer cell will perform obscene amounts of fermentation even when there’s plenty of oxygen around. It shouldn’t need to do fermentation. It should be doing OxPhos. It should be using the Krebs cycle. Instead, it’s fermenting all the pyruvate into lactate because it has no choice! If the mitochondria were up to snuff, the pyruvate would be converted to acetyl CoA, and we’d be off to the races making tons of ATP. 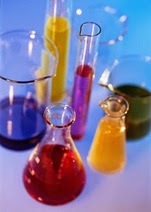 But because cancer cells DO NOT HAVE HEALTHY MITOCHONDRIA, they must do fermentation, whether oxygen is there or not. Thus, aerobic fermentation is another of the metabolic hallmarks of cancer cells. Okay. Fine. Cancer cells are performing lots & lots of glycolysis, and lots & lots of fermentation. Let’s look at the ramifications of this. So we have a lot of lactic acid building up in the body. This extreme buildup of lactic acid is the result of a physiologically abnormal amount of fermentation. The acid is not causing cancer. So let’s get something straight right now: People don’t get cancer because their bodies are acidic; their bodies are acidic because they are riddled with cancer cells, and because cancer cells have broken mitochondria, they are forced to engage in obscene amounts of fermentation, thus generating overwhelming amounts of lactic acid. Systemic acidosis is not a cause of cancer; it is an effect. This is likely why “alkalinizing” diets are not a cure for cancer. I am sorry for being so crass here, but if your body is overrun with cancerous tissue, you can choke down all the kale and spirulina smoothies you want; you are not going to kill cancer. With all that lactate being produced, we can infer that the predominant fuels for cancer cells are not fatty acids. If we want to start reducing the acid load in someone’s body, we might think about switching them to a fat-based metabolism. Recall from a post a while back that one of the hallmarks of cancer cells is their ability to metastasize—to migrate from their site of origin and invade other organs and tissues. Well, according to people who know way more about this than I do, one of the things that enables/facilitates metastasis is the acidosis resulting from all that fermentation. Like I said: taking deliberate measures to alkalinize the body isn’t going to cure the cancer, but it might make it harder for it to metastasize. Okay, I’m pretty sure everybody’s clear on aerobic fermentation now. Since we’re talking about things happening in the presence of oxygen, let’s look at a couple of other interesting things. We know cancer cells have dysfunctional mitochondria, right? (Or not enough mitochondria.) So even when a cell has access to plenty of good ol’ oxygen, it’s not going to use it. Before we end things for the day, I said we’d talk a little bit about Dr. Warburg. Anyway, Warburg certainly had an interesting life. His father was a physicist, and it seems Albert Einstein and Max Planck were regular guests at the Warburg dinner table. Hello!! Also—remember the Krebs cycle—the mechanism that produces ATP inside healthy mitochondria? Well, Dr. Hans Krebs was Warburg’s student! That description immediately reminded me of Dr. Robert Atkins. Atkins was considered an ornery S.O.B., but that is probably because, with his promotion of a luxurious, high-fat & high-cholesterol diet in the era of rice cakes, fat-free yogurt, and Jane Fonda-style aerobics, he was swimming against a current flowing very strongly in the opposite direction. So too with Warburg. And now, over four decades after Dr. Atkins’ original 1972 book introduced low-carb to the masses, we have thousands of people with vibrant health and wellness, some of whom are maintaining triple-digit weight loss on long-term low-carb diets. Countless people owe their lives—and their quality of life—to Dr. A. We can only hope that—assuming he was correct—laboratory research, clinical observations, and new therapeutic options for people affected by this devastating condition will give Dr. Warburg’s work the same vindication. Good stuff. As a former biology major, you do a great job in breaking down this information into the important essentials. I'm one of those geeks that always enjoyed cellular biology. Thanks for maintaining this blog. As someone who takes the ketogenic lifestyle seriously, I've become a sponge for nutritional knowledge. The main thing I've learned is that healthy eating is very individualized, and while there are some basic tenets that are universal, much of our personal knowledge for fine tuning what we eat must come from learning what works best for one's phenotype. Yes, it's a lot of N=1 experience, and having access to a blog like yours is very helpful in making course corrections toward good health. Thank you! I agree -- we have to find what works for ourselves. The process isn't always fun or easy, but ultimately, there's really no one-size-fits-all when it comes to this stuff. When I first started learning biochem & physiology, I thought I was going to be bored out of my mind (not to mentioned overwhelmed by their difficulty). But I was lucky to have some great professors who made them fun. I'm trying to go one step further by making them fun and RELEVANT to helping support good health and recover it if its been lost. Just discovered this series of yours - excellent (and so much easier to read than Seyfried's fine book). Looking forward eagerly to the next instalments. Thanks, Kevin! Glad you found it. I haven't read Seyfried's book yet, but I've read a bunch of his published papers. Going to tackle the book soon...there's always more to learn. Thanks Amy for the link on our FB NTP community site! I read the previous post as well as the one after this and learned a lot! Also, I really enjoyed your writing style. :-) Thanks! Glad you're finding it helpful. I have a few more posts to go in the cancer series. I've been away from it for almost a year! But I know readers are wanting me to cover the things I've still left hanging.